Lyla Garrity and Tim Riggins form one of Friday Night Lights' best couples. The chemistry and complexities are so fun to watch. Coach Eric Taylor (Kyle Chandler) runs the show at Dillon High School football practice. Any questions? 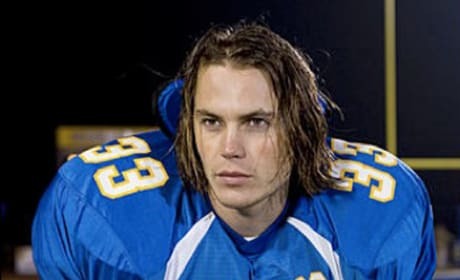 Here's one of our favorite pictures of Tim Riggins. 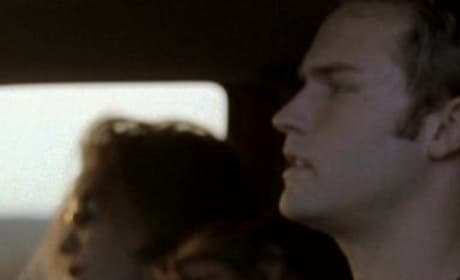 Tim Riggins (Taylor Kitsch) doesn't know where he's coming from or where he's going these days. All Friday Night Lights fans can do is hang on and enjoy the ride. 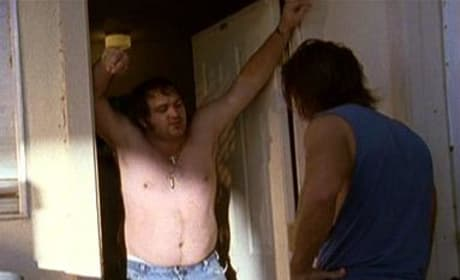 Big Tim Riggins is always carrying a world of problems upon his massive shoulders. Where will he end up this week, with no place to stay and no team to suit up for? 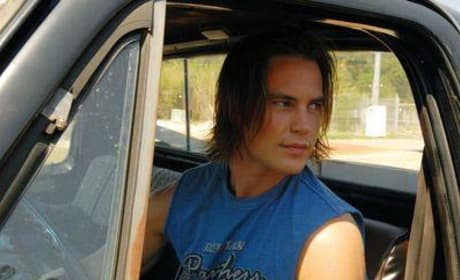 Tim Riggins, without a place to live, heads over to stay with one of Mindy Collette's friends. We'll see how long that lasts. 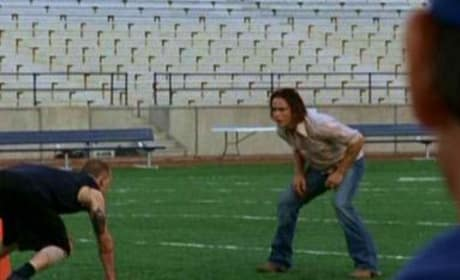 Tim Riggins works out Santiago in hopes of getting him on the Panthers football team - despite being recently kicked off it himself. Maybe this will be good for him. 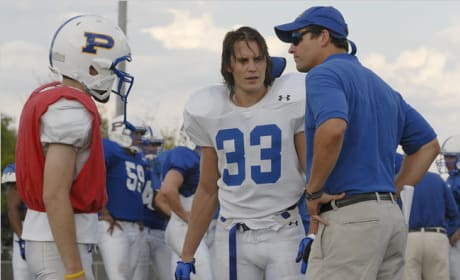 Smash's mom and family make dinner for Tim, as Brian tries to get Riggins to get his act together so that he can get back on the Panthers football team. 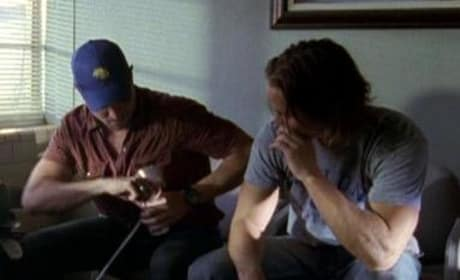 Tim Riggins and Billy Riggins wait for Tami in her office... and play with her breast pump in one of the funnier scenes from "How Did I Get Here." Jason Street reflects on turning 19 in a few days as he, Tim and Lyla drive back to Dillon from Mexico. That was fun! But Jason Street no longer desires the stem cell surgery he was willing to take a chance at. He wants to live life and make the most out of what it is right now. 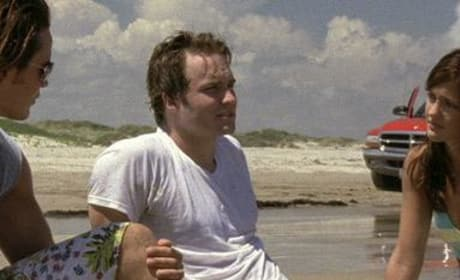 Riggins tries to bribe his way out of trouble, and meets the only honest cop in Mexico. Street reluctantly bails his drunk pal out of jail.